Are you mesmerized by dragonflies? 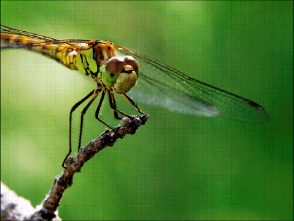 Larry Rosche, a local wildlife expert and author of “Dragonflies and Damselflies of Northeast Ohio,” will help you understand these fascinating insects during a dragonfly walk from noon to 2 p.m. Sunday, July 26 on the Hal Rohlik property, 1960 Substation Road, Brunswick Hills Township. The walk is being organized by Western Reserve Land Conservancy. Roche will lead the walk, answer questions and have copies of the book on hand for purchase. 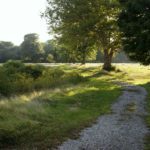 The 29-acre Rohlik property has been permanently protected with a conservation easement held by the Land Conservancy. 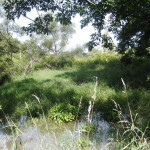 A large pond on the site is managed for wildlife habitat, making it ideal for dragonflies. The property is adjacent to the 24-acre Greenfields Conservation Easement. 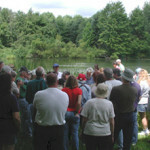 We celebrate all who support conservation in northern Ohio … and, all who benefit from it!